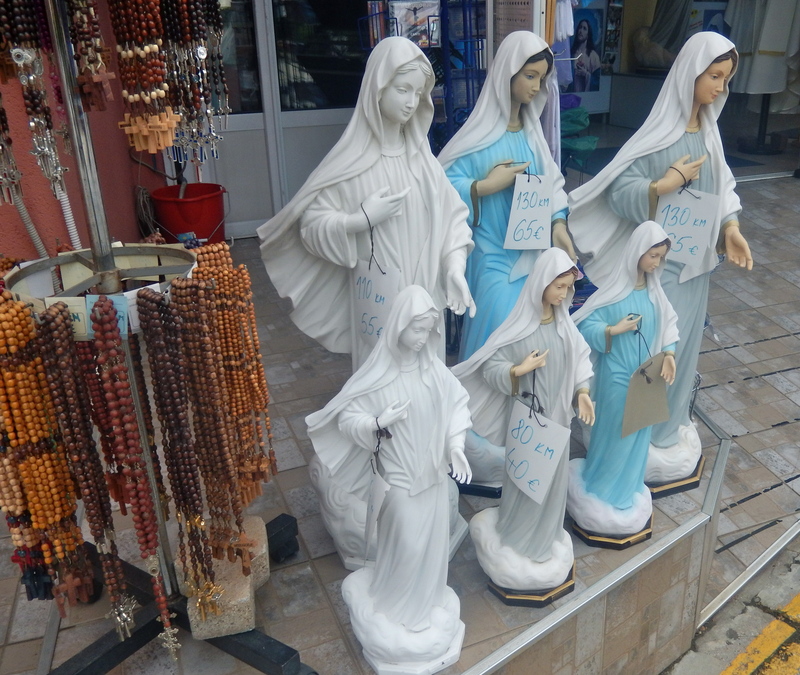 Medjugorje is not a name that springs up in travel conversations much. Or general conversation at all for that matter. Unless you’re a devout Catholic that is, and even then this bastion of ‘miracles’ in Bosnia-Herzegovina is a highly contentious topic. Until I jumped onto a day tour from Dubrovnik I’d never heard of the small, hotly debated town. I was still half-asleep and in pain thanks to a late night, a 5am start and a cracking hangover from some stronger than expected Croatian red wine. The only thing I was praying for was my brainfug to subside so I could explore the gorgeous bridged city of Mostar – somewhere I’ve been keen to visit since I read about the destruction of its famous bridge at university. Although Bosnia-Herzegovina looks like a simple hop from the Croatian border, international buses in the Balkans don’t run frequently, or according to any sort of logic. This is quite likely to have something to do with the fact that Bosnia-Herzegovina, Serbia, Kosovo, Croatia and Montenegro were engaged in a brutal, genocidal war for most of the 1990s. And as guided day tours seemed the best solution I plumped for a day trip with Amico Tours. As a solo traveller I’ve come to enjoy these tours; they’re a chance to meet new people, learn about the locations from someone knowledgeable, and although I’m a planning addict it’s occasionally nice to forfeit the organising. The group was small, with just six of us in a comfy, air-conditioned van, and our driver Zoran was fantastic. Knowledgeable, friendly, and giving off just the right amount of cynicism. As a Croat he refused to trash the other countries embroiled in the Balkans conflicts – unsurprisingly for such a recent war, a lot of bad blood still lingers in this part of the world. I enjoyed the trip so much I actually booked another excursion with Amico Tours to Montenegro the following day. Zoran filled in my admittedly patchy Bosnian-Herzegovinian history as we zoomed through the lush green countryside, pausing to pass through three sets of passport control, which was made admittedly much easier in a guided tour. To get to Bosnia-Herzegovina first you must pass from Croatia into a narrow strip of land that belongs to Bosnia but it surrounded by Croatia on either side, then into Croatia again and then finally into Bosnia. No wonder the bus system is a mess. 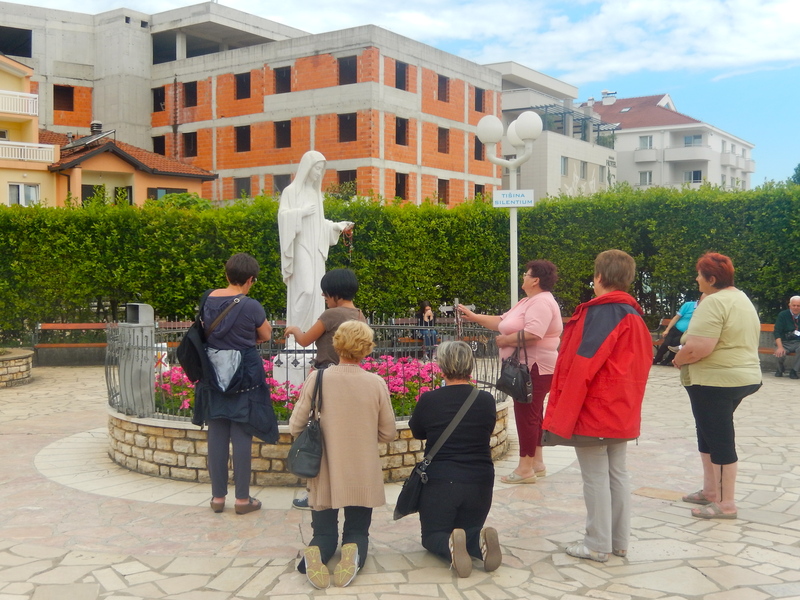 He explained that before we arrived in Mostar, we’d first stop in Medjugorje, a popular Catholic pilgrimage destination. 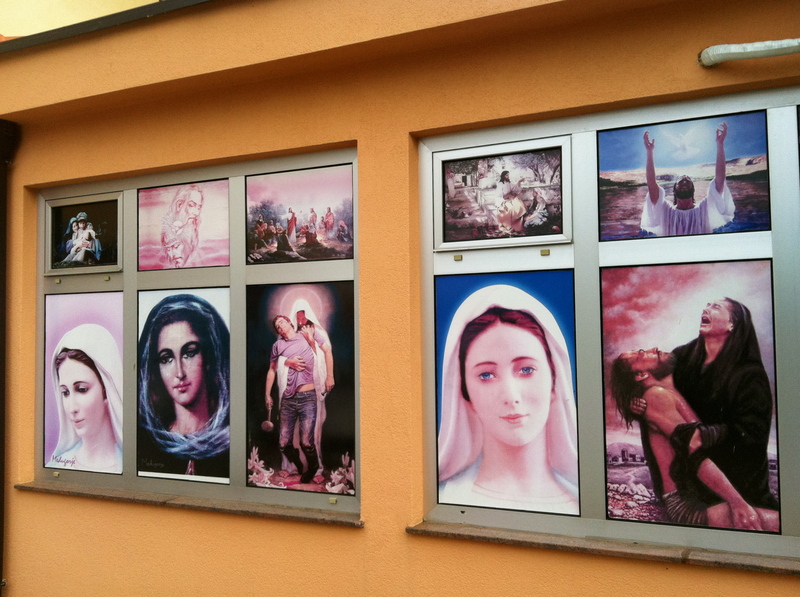 Medjugorje is without a doubt the weirdest place I have ever visited. 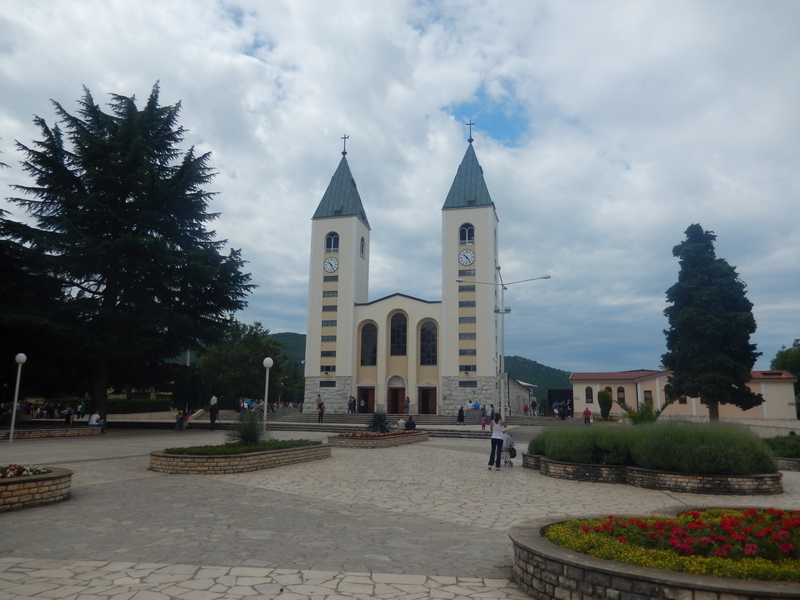 Here’s the condensed story of Medjugorje – which literally translates as the town ‘between hills’. Once upon a time… oops, I mean one day in 1981, the Virgin Mary appeared in all her glory to six young children playing in the hills near the town, telling them to spread her word to other believers. Since then she’s allegedly popped up in this corner of the Balkans via apparition on a weekly basis – on Tuesdays if I remember correctly – to have a quick chat to the chosen ones. Tens of thousands of believers travel from across the Catholic world to hear the now-adults selflessly relay her messages. In fact there’s even a website where fans can access the Virgin Mary’s latest words in 23 languages, well it is the digital age I suppose. Let’s gloss over the part where the sightings have made the chosen ones rather famous and quite wealthy and put it down to simple kind-heartedness on their part. When even the Catholic Church has yet to confirm the veracity of the claims, you know it’s likely to be a rather dubious enterprise. 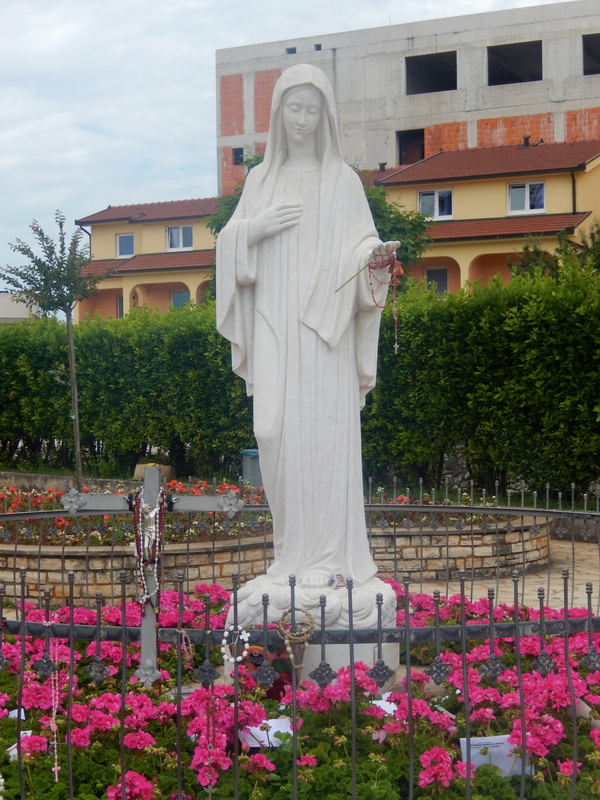 Unsurprisingly Medjugorje has flourished because of its new-found pilgrimage status. 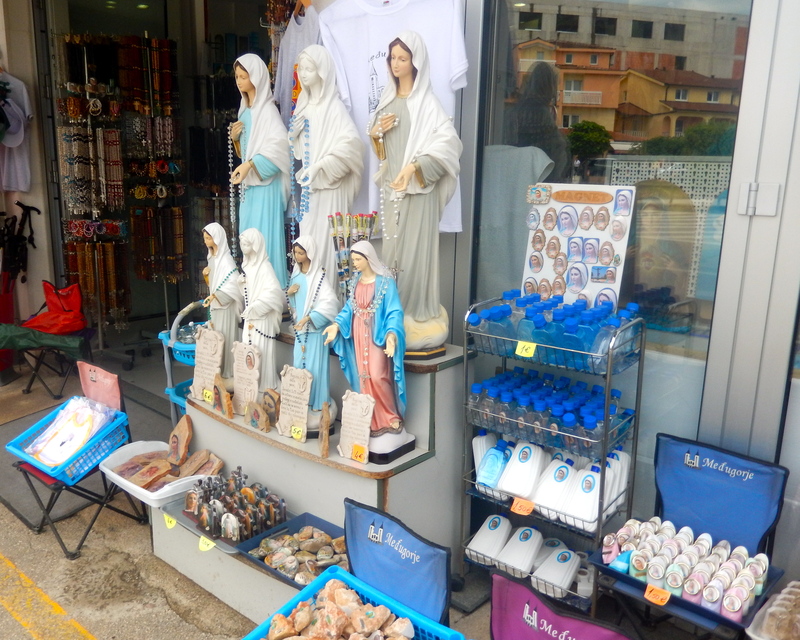 Souvenir shops line its one street, selling an improbably large range of Virgin Mary statues, bibles and rosaries. Here and there a shamrock-adorned shop entitled ‘Paddy Power’ or something similarly generically Irish breaks up the monotony. Loudspeakers from Medjugorje’s church, a colossal structure dominating the town, boom out sermons in a lilting Irish accent. Pilgrims, nuns and other devotees squash into the church’s interior – and the overflow section at the back, listening intently to every word. 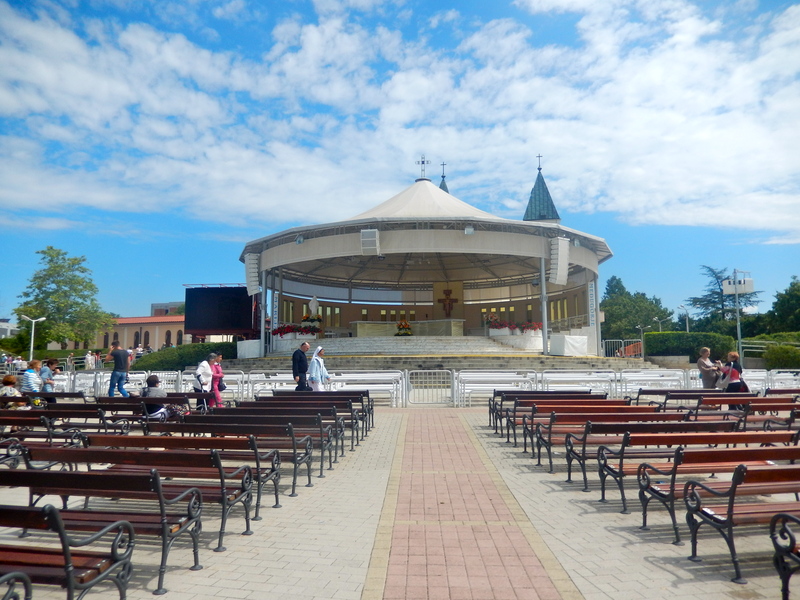 Since the apparitions began in 1981, over 40 million people have visited the town. Many believe that visiting the town will heal them of any sickness they may have, even terminal. I saw individuals in wheelchairs, on crutches and being carried by friends and relatives to the church’s tall spires. Zoran showed his distaste for the town by sitting in the minibus. 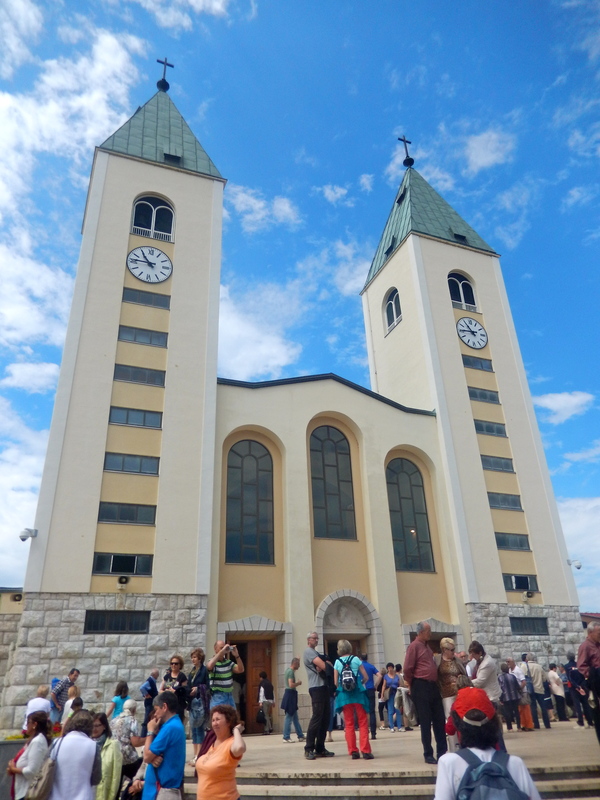 Apparently many people book the Bosnia-Herzegovina tour specifically to visit Medjugorje – which itself is pretty dull unless you are interested in the faith, it really is a one-horse town – unless shamrocks and rosaries are your thing, in which case you’ll have a hoot. But I found learning about its backstory and watching the never-ending wave of dogged belief fascinating. Did the children really see an apparition of the Blessed Virgin Mary in the hills in the eighties? I’m going to say no. I find it disturbing that a whole tourism business can spring out of a single alleged sighting. While I appreciate that religion brings comfort to many people, dragging sick, and sometimes terminally ill, individuals across the world in the hope that they will be healed seems messed up to me. I know this post is a bit of a deviation from my usual content, but I thought it was an interesting glimpse into a different type of travel, and a different type of traveller. Have you ever heard of Medjugorje? What do you think about the story of the children meeting the Virgin Mary? 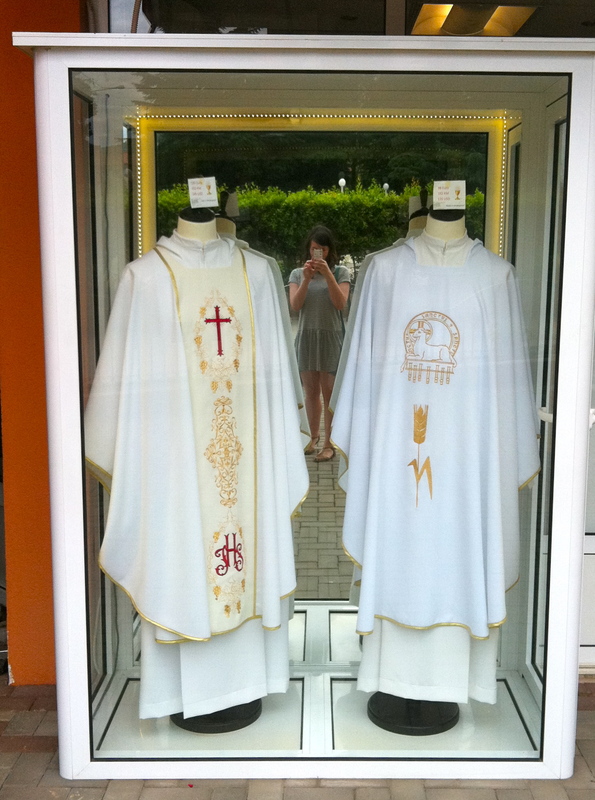 Tags: Bosnia-Herzegovina, Europe, Medjugorje. Bookmark the permalink. I went on a similar daytrip from Dubrovnik to Mostar, but opted for one that bypassed Medjugorge being a bit of a cynic. Beautiful country though! It is wonderful – did you enjoy Mostar? I loved it – just wish I’d have had longer than three hours there!